Airbrush makeup is makeup sprayed onto the skin using an airbrush instead of being applied with sponges, brushes, fingers, or other methods. It is flawless, long lasting, fast and easy, light weight, water based, hypoallergenic and non-comedogenic, so it is a brilliant product to use on any skin type. On-location Bridal Makeup and Hair Services. We are certified and trained by the best in the industry. Specializing in beauty makeup and bridal hair, we will provide quality and exceptional service to every bride and her wedding party. 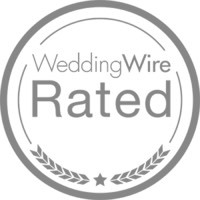 We continue to satisfy countless numbers of brides throughout VA. During the consultation and trial, we will work with you to build the perfect look hair and makeup your big day! One on one color match lessons learn how to use your own makeup, bring your makeup with you and we will custom match your color and suggest products that may work better for you. If interested in scheduling a group or private lesson, please contact me through the form here!